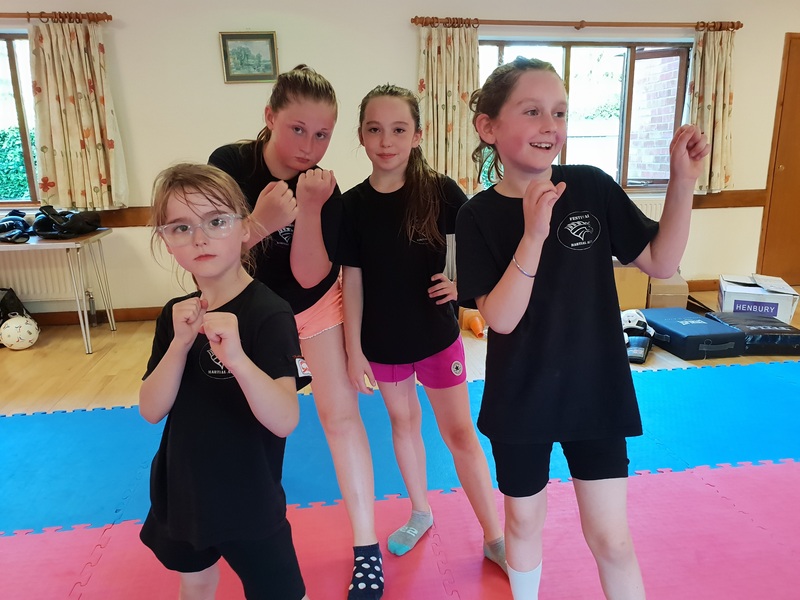 For the kids martial arts classes we run Melody Johnson's Skillz Martial Arts drills which take into account the abilities of different age groups. While aiming for fitness and learning self defence Skillz Martial Arts drills bring in an element of fun into what can sometimes be repetitive when training in martial arts. Each term we also have a Life Skillz word for the students to consider along with a work sheet and a Life Skillz badge on completion of the work sheet. 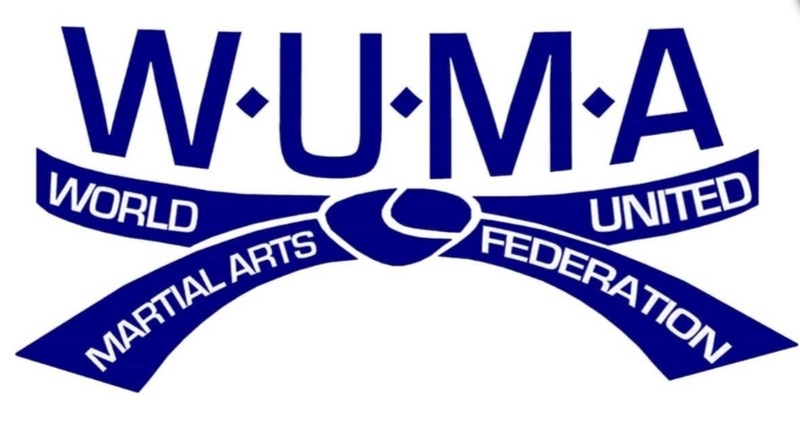 All students aged 7 and over grade for a club certificate in mixed martial arts (MMA) and a World United Martial Arts Federation (WUMA) certificate. Gradings are three times a year at the end of each term. 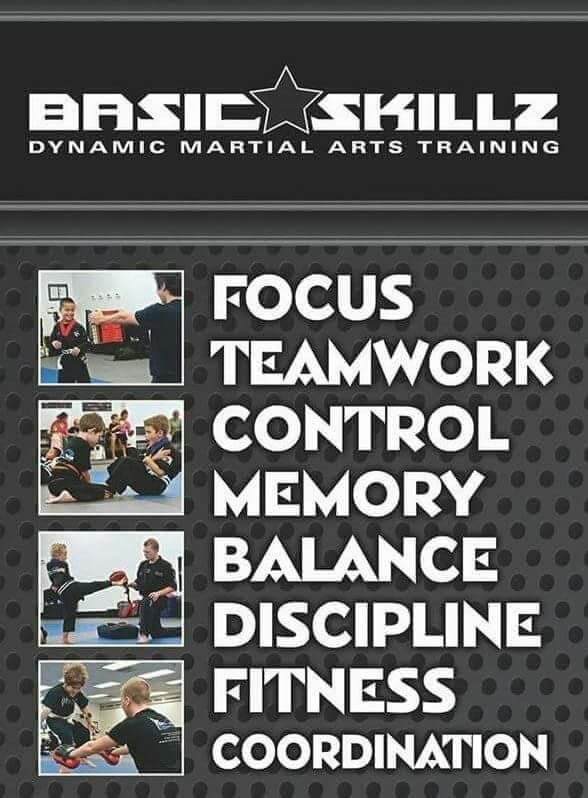 The classes run are age specific with Early Skillz (ages 3 to 4), Basic Skillz (ages 5 to 6), Core Skillz (ages 7 to 9) and Extreme Skillz (ages 10 to 14). Shortly we will be launching Spectrum Skillz for kids with autism and/or certain learning difficulties. Please check back here for updates. We are currently taking on no more students in the kids classes. 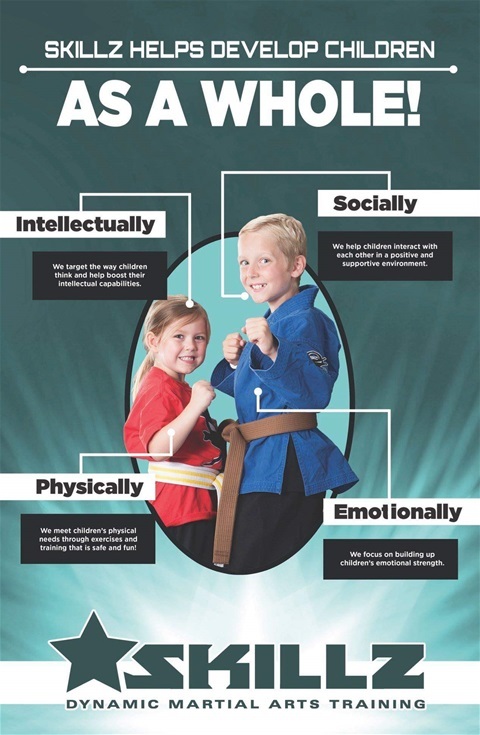 If you would like your child/children to learn martial arts please contact us via the contact us page to be added to the waiting list for the summer term in April 2019. Please scroll down for more information on each age group. 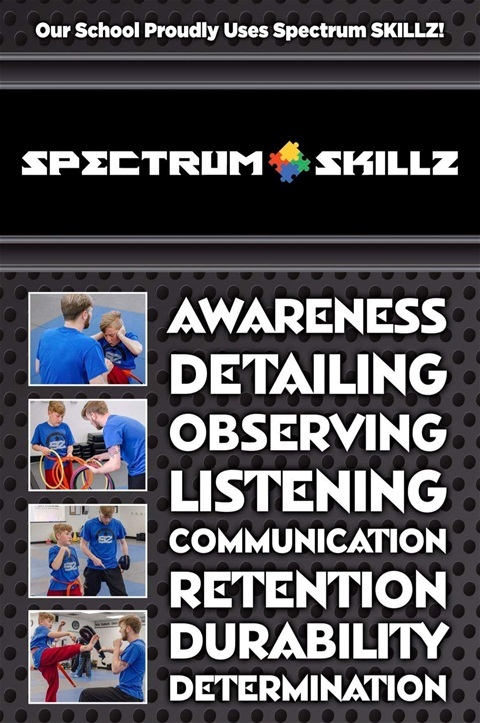 This is martial arts for children with autism and certain learning difficulties. Classes will be available from May 2019 on a Monday. Each potential student initially has a one to one session to asses where they are on the spectrum being given a score on awareness, detailing, observing, listening, communication, retention, durability and determination. The assessment and score is to determine if the potential student can manage and if they will do well in a group class. 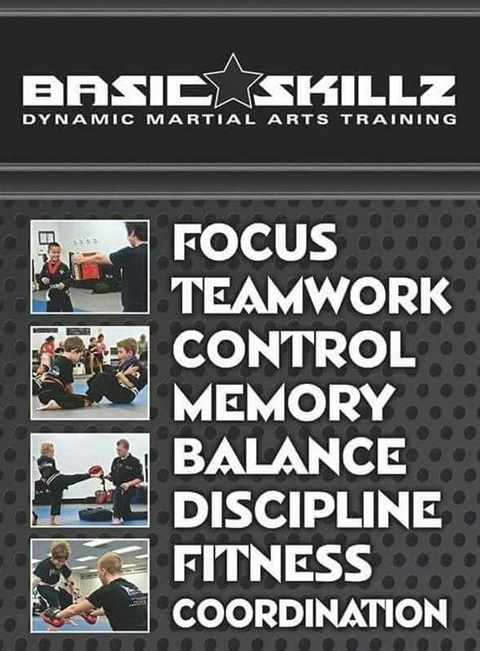 The martial arts classes will be running with a tailor made martial arts curriculum from Skillz martial arts designed for students on the autism spectrum. Please contact us for more information. 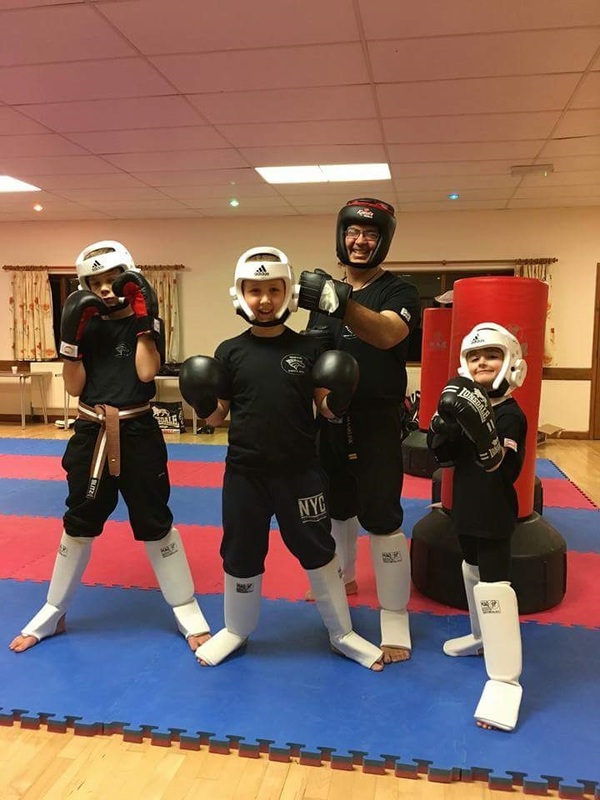 Currently due to siblings of different ages all wishing to train together this class has a slightly wider age range from 3 years up to 6 years. If the class becomes full we will then split the class into an Early and a Basic Skillz classes. In this class while we train in some martial arts basics the emphasis is on keeping the session fun and fast moving using Skillz Martial Arts and plenty of patience. This class is currently by arrangement only. When this class is running, due to the age group, the class is approximately 30 to 40 minutes long and runs on a Thursday from 4:40pm to approximately 5:15pm. If you are interested in this class please contact us via the "contact us" page to be added to the waiting list. 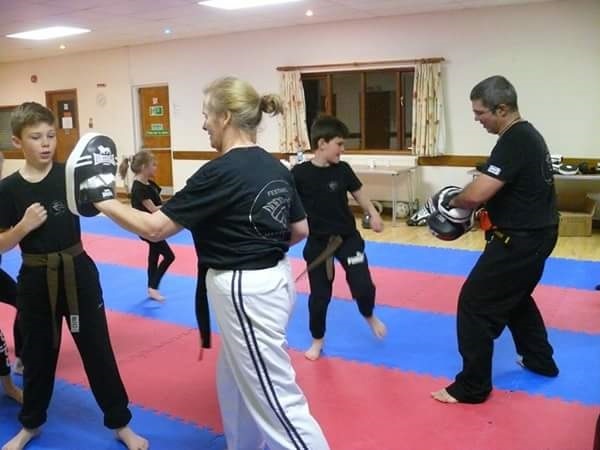 Martial arts for 7 to 9 year olds incorporating self defence, escrima stick fighting and defence systems, knife defence, sparring, focus pad and bag work. Training in mixed martial arts with Skillz martial arts drills keeping classes fast moving and fun with fitness and self defence. 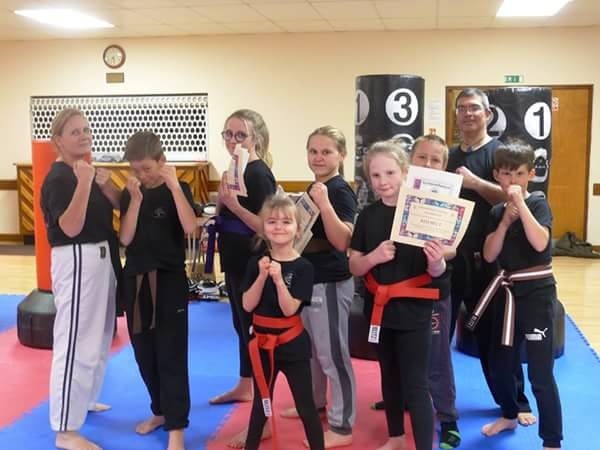 Gradings take place once a term and students grade for a club certificate in mixed martial arts and a World United Martial Arts Federation certificate in Freestyle Martial Arts. Class times are Thursday's 5:30pm to 6:30pm during term time. Please contact us via the contact us page to be added to the waiting list. 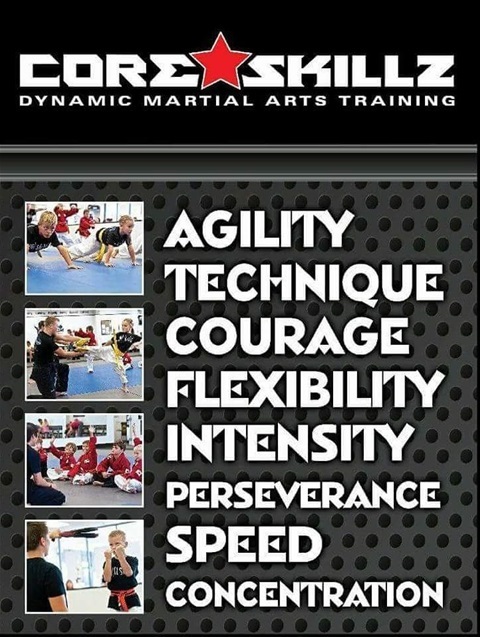 Martial Arts for 10 to 14 year olds. Running with Skillz martial arts specific to this age group which keeps classes fun and fast moving. 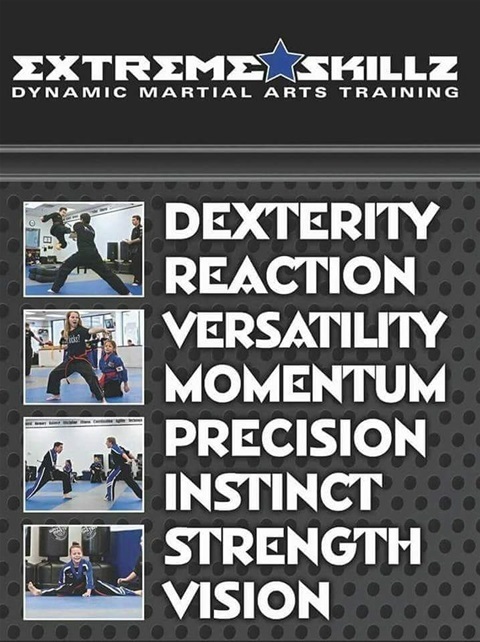 Building on self defence techniques, martial arts weapons, ground and knife defence, sparring and competition, partner and bag work. 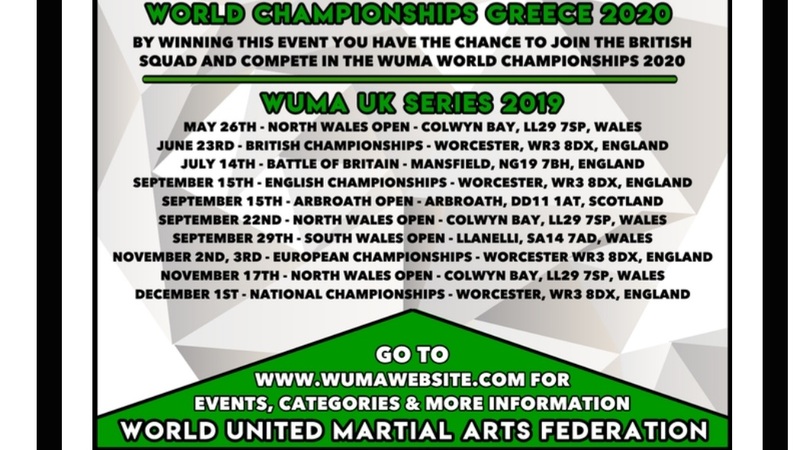 Gradings are once a term and students grade for a club certificate in mixed martial arts and a World United Martial Arts Federation certificate in Freestyle Martial Arts. Black belt gradings are held at the world united martial arts federation headquarters in Gloucester. Class times are Mondays and Thursdays 6:30pm to 7:30pm during term time.